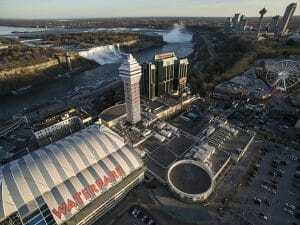 Hosting a meeting or conference in Niagara Falls can be an extraordinary affair. With an incredible backdrop of thundering waterfalls, world-class venues, unique team-building opportunities, and amazing accommodation and dining options, the city has everything you need to make both large and small business meetings into professional and unforgettable experiences. 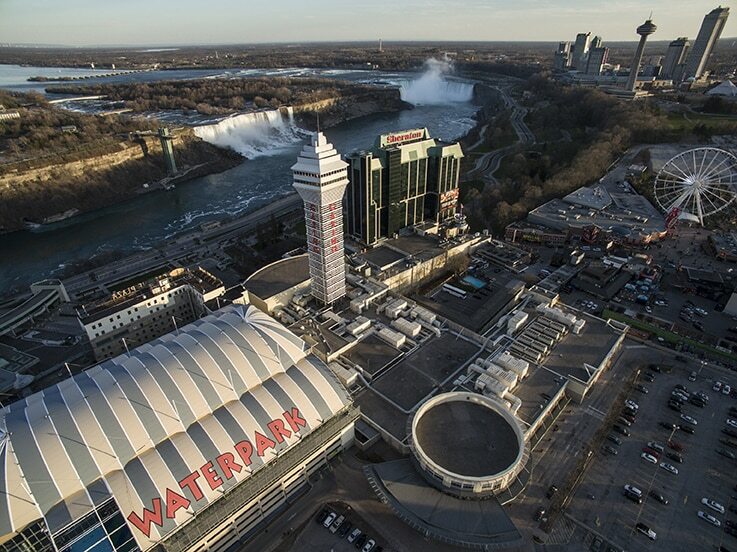 Canadian Niagara Hotels hosts the largest inventory of meeting rooms, events spaces, and guest rooms across multiple hotels located just minutes away from the magnificent Niagara Falls. This includes the Sheraton on the Falls, Marriott Fallsview, Crowne Plaza Niagara Falls-Fallsview, and Marriott on the Falls. All of these hotels are conveniently situated in the heart of the city’s tourist district and are a short drive or walk away from other meeting and conference destinations in the city like the Scotiabank Convention Centre. Many of the meeting and guest rooms in these first-rate hotels also offer incredible views of the waterfalls and feature everything you will need to make your meeting or conference a great one. Canadian Niagara Hotels will ensure that all of your audio visual needs are met by offering state-of-the-art lighting, projections and audio equipment, and can also offer a range of pre-planned team-building activities like the Falls Quest, Falls Culinary Challenge, and Hershey’s Challenge. When you have some down time between meetings, there is no shortage of amazing amenities and entertainment destinations for your delegates to check out. From a relaxing day at the spa to a high-energy night out at the casino, there are plenty of incredible ways to spend your time in Niagara Falls. Host a professional meeting or conference in a spectacular world-class destination by choosing Niagara Falls and Canadian Niagara Hotels. A dedicated Sales & Conference Team will ensure that all of your needs are met and will help you to plan an extraordinary business experience that is unlike any other.